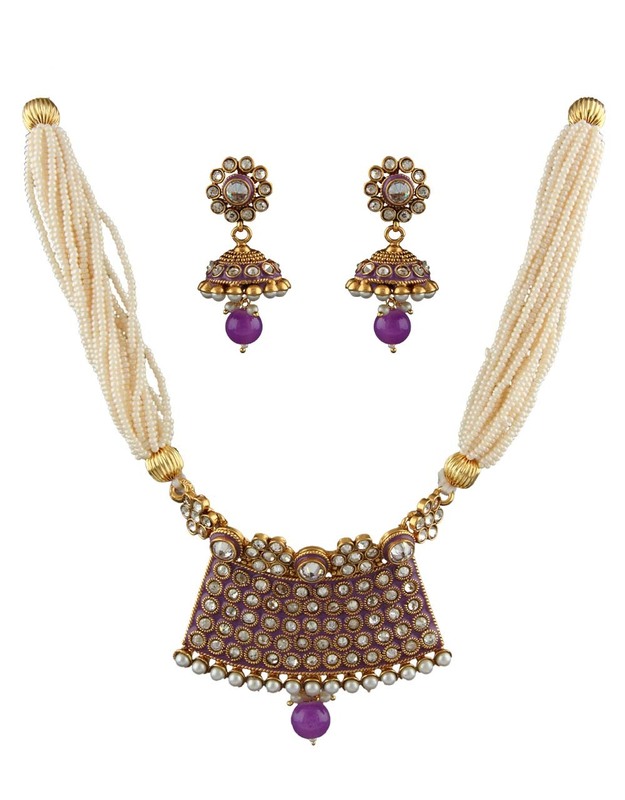 This season upgrade your jewellery drawer with this attractive purple colored necklace set from the house of Anuradha Art Jewellery. 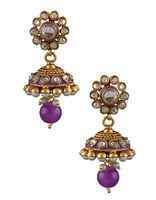 It is fashioned from 40% silver & golden polished copper. 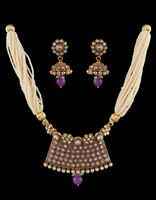 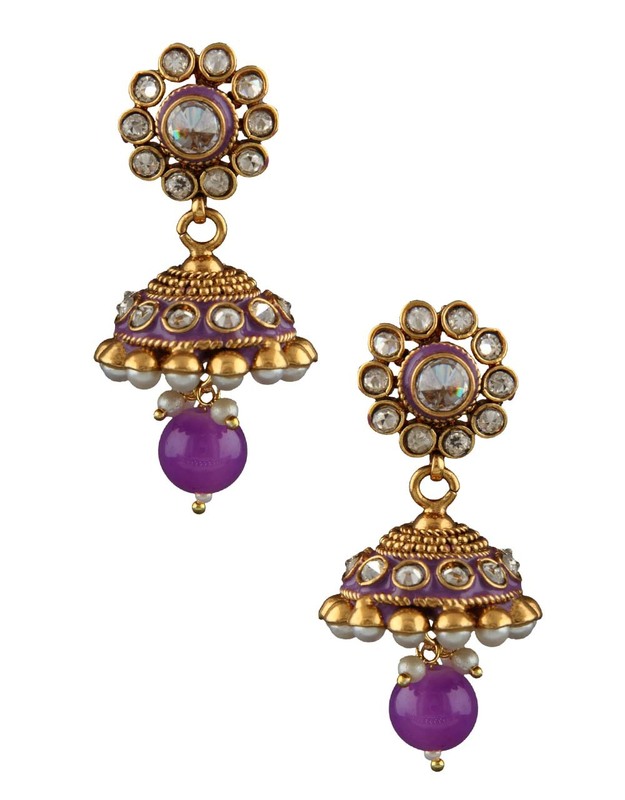 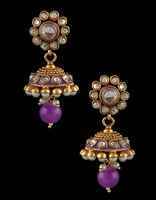 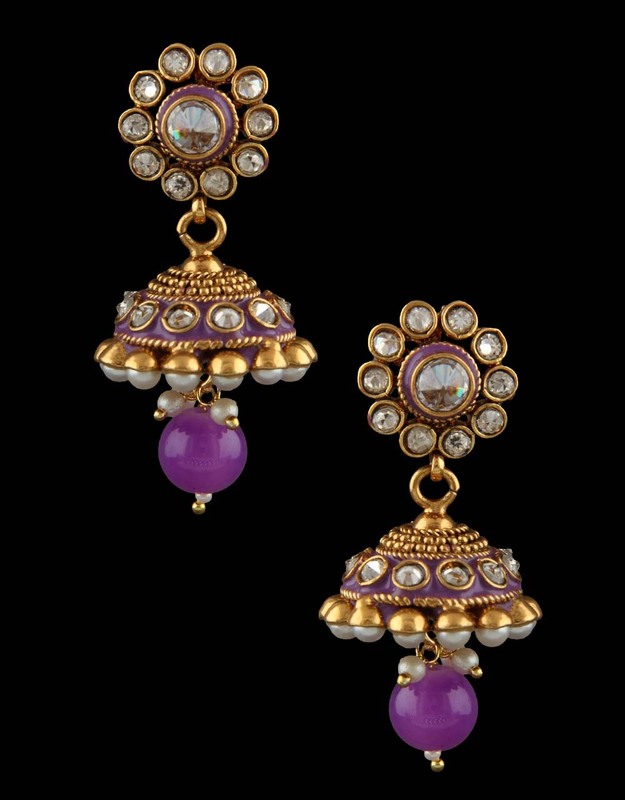 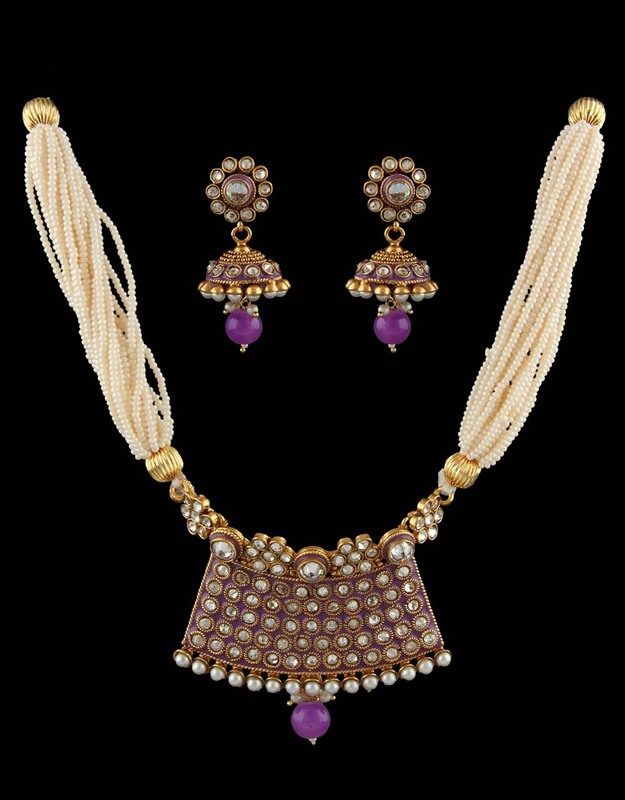 This pearl necklace set is studded with stunning stones & feature flawless mina work.